We are highly trained professional communication coaches, who conduct private coaching and group training. Each coach is formally educated at the graduate level in areas related to communication. We bring over 25 years of expertise to our clients. We train skills related to communication, in order to develop confident, articulate and tested speech and presentation skills. In a world where the internet is loaded with ideas about public speaking, leadership, sales, service, call centres and more, how do you know which ideas are good for you? Ask us! Call us for a free 30-minute consultation with a seasoned communication coach, which can be conducted in person, via Skype or telephonically. 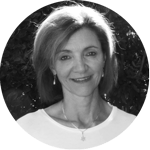 Founder of VoiceWorks in 1994, Marianthi has a Bachelor of Arts degree in Speech and Drama and Psychology from Rhodes University and an LTCL Speech & Drama Teacher’s Diploma from Trinity College London. Marianthi is passionate about changing the way we sound, by learning to use your most valuable communication tool… your voice! She believes in finding new ways to communicate through her dealings with a wide range of people and her extensive travel. 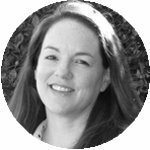 Her areas of expertise encompass the teaching of voice techniques, presentation and communication skills to ensure exceptional outcomes in a professional and corporate environment. 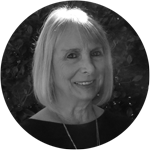 Ziggi Ismene Hardman comes with a wealth of experience in teaching vocal and communication skills to adults and children. She is also a national adjudicator for speech and drama, public speaking, debating and singing competitions and has directed and produced amateur musicals and plays. 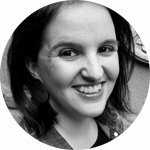 Ismene holds a BA UED Honours degree from Rhodes University and an LTCL Speech & Drama Teacher’s Diploma from Trinity College London. Recently she relocated to Cape Town from Port Elizabeth from where she ran the VoiceWorks office. 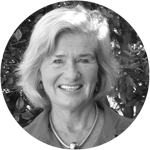 Sally has many years’ experience in teaching adults and children in the speech and drama arena and VoiceWorks Cape Town has benefited from her experience and energy since 1998. Sally believes that a trained voice enhances one’s self confidence and complements the whole person. She holds a diploma in Speech & Drama and English from UNISA and an LTCL Speech & Drama Teacher’s Diploma from Trinity College London. Anabel is our coach in Port Elizabeth. She has a BA Honours degree from Stellenbosch University, a PGCE from UNISA and a LTCL in Speech and Drama Education from Trinity College London. Anabel taught Speech and Drama for several years and firmly believes in the power of vocal training to build confidence. She is passionate about helping clients find their own voice. Faisia Shaskolsky – Faisia conducts our English language workshops in conjunction with our voice training techniques. Denise Hill and Associates – Denise Hill conducts our voice training for delegates in Johannesburg.